PINCHme is a free sampling service. Complete your profile where you answer questions about your household and shopping habits. On select Tuesdays at 9amPST when new samples release, you can order any available that match up to your profile. The better samples tend to run out quickly, so log in as early as possible. 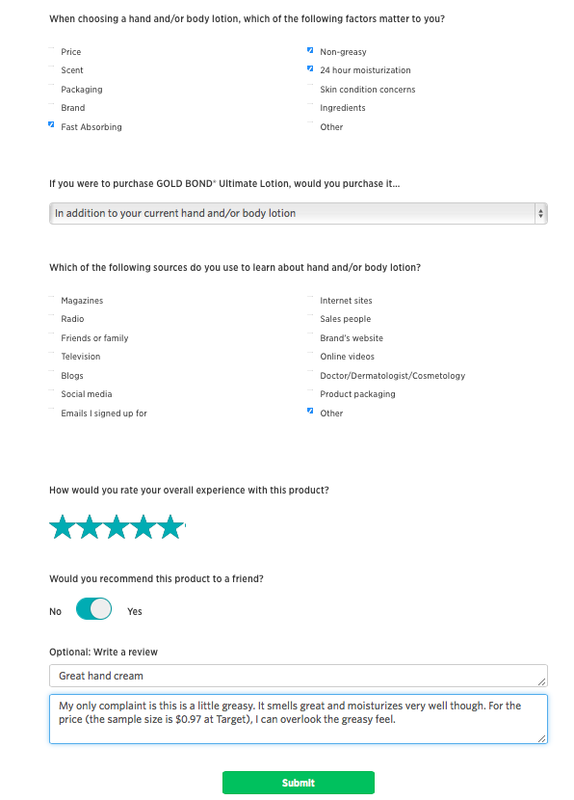 Once you’ve tried the samples, you complete a short survey. As long as you complete your surveys in a timely manner, you are eligible to receive future samples. This package was ordered on 06/23/15. It shipped on 07/13/15. On 07/27/15, it arrived at my house. It takes about a month from ordering to receipt. The surveys were up by 07/31/15, and I had already tried most of the items by then. I will complete the other surveys as soon as I can. I was able to order a decent number of samples on this day. Only one or two items were out of stock by the time I arrived to claim my samples. Offers are based on your profile, so you may not see 9-10 items as I did. You may see more or less. The bandages are missing from the group picture (did get a separate picture), so I received eight items. 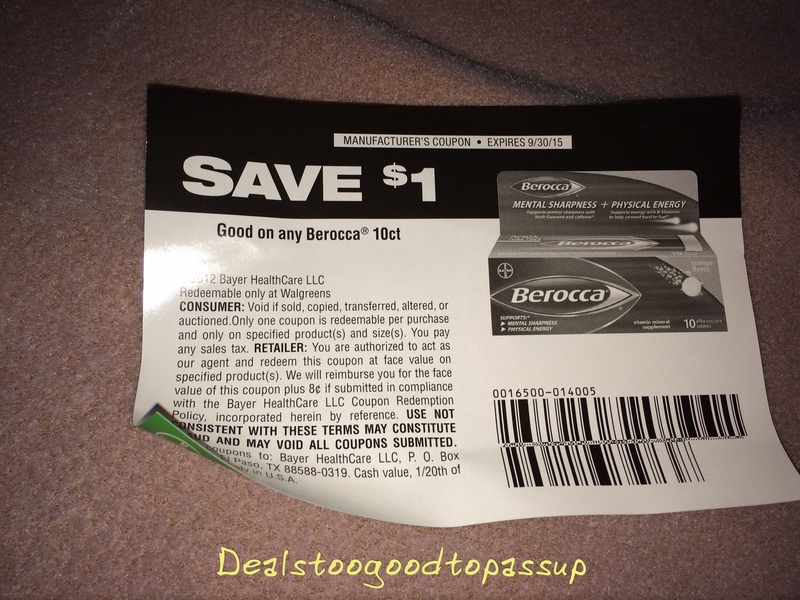 There were two Nexcare Waterproof Bandages attached to a coupon. I wanted to review these on time, but no one wishes for a cut. It was actually a good thing that I used one of these on no cut at all just to test it. Now, I have the other one to use on a real cut when it comes. These have actually come a long way. Years ago, I had to replace this brand after every hand wash. They last through three washes now. If they last longer than that, I would not know. After the third one, my gross OCD feeling kicked in and told me to remove it. 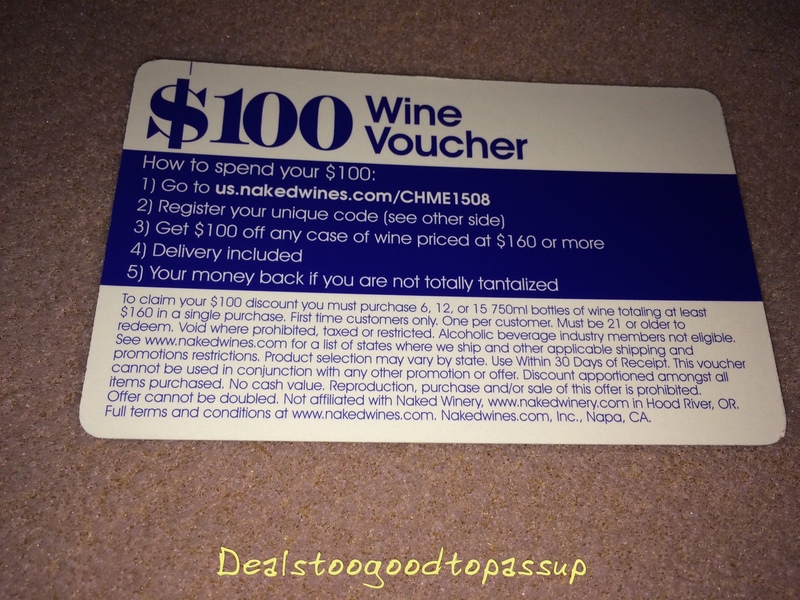 In addition to the eight items I ordered, I got a $100 nakedwines.com voucher. I do not drink alcohol. My husband says he does not feel like ordering anything, so this discount code is up for grabs (if anyone wants it). 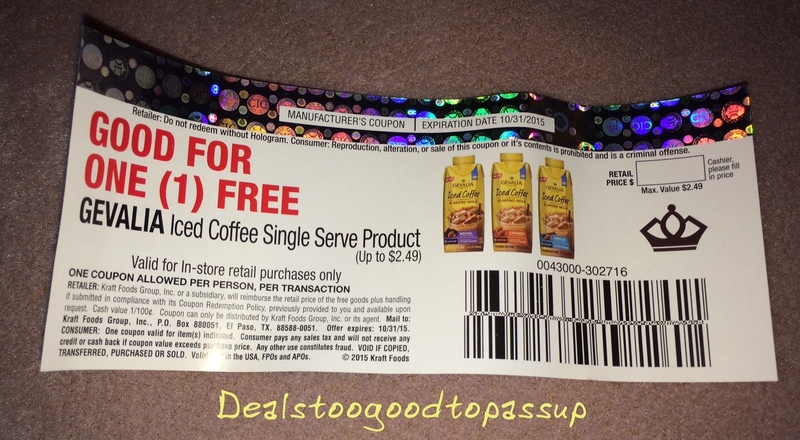 I always welcome coupons especially on items I want to purchase. 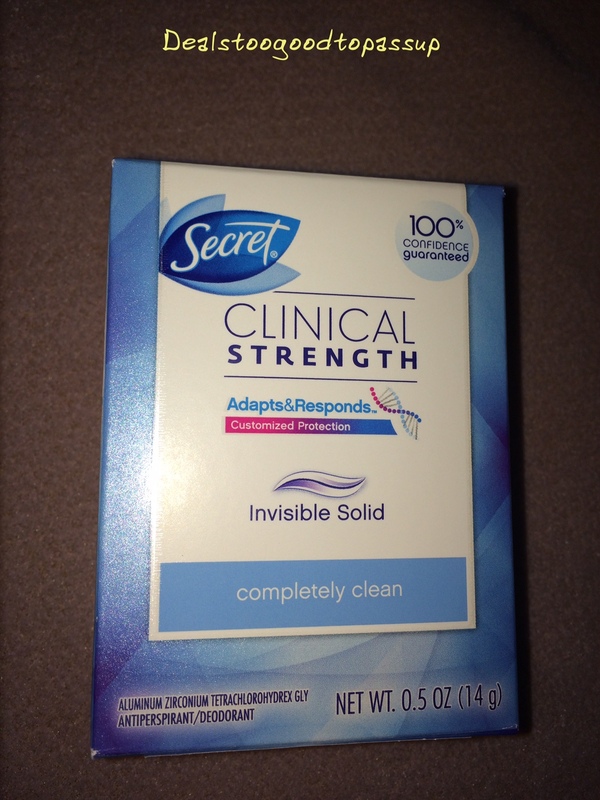 The Secret Clinical Strength deodorant is my all time favorite, so I will almost certainly use that. 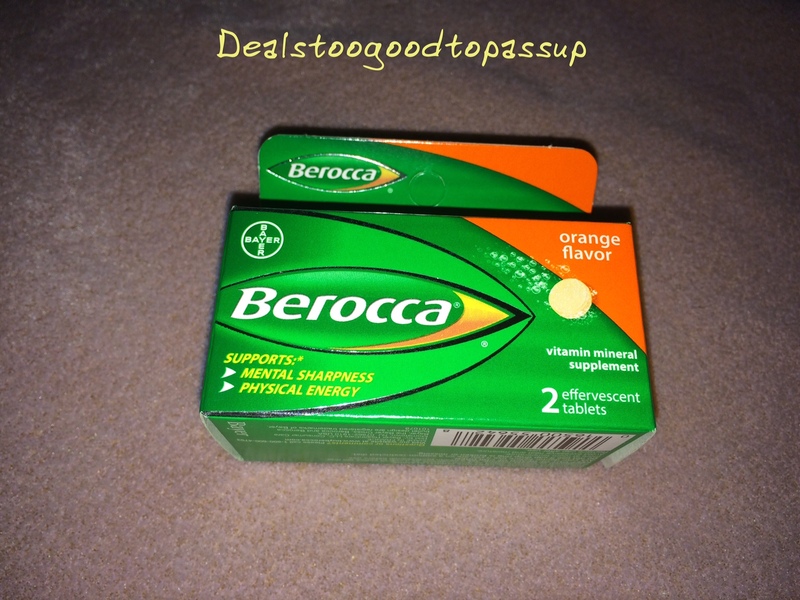 The Berocca will be a coupon I pass on. 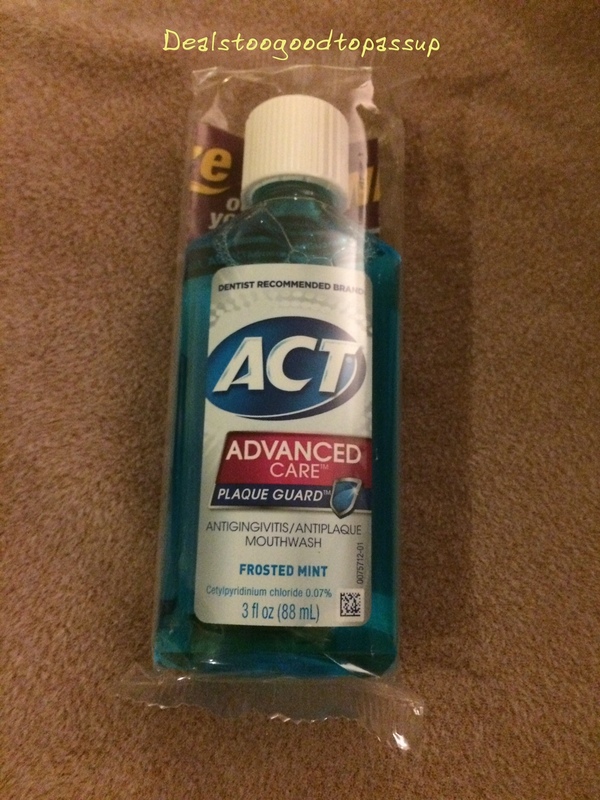 This Act Advanced Care Mouthwash burns a lot less than my usual Listerine. I am unsure if the burning means it is removing more germs or not. As such, I am unsure what I think of this. Listerine supposedly removes the most germs, but I have no clue if that’s true or if they have clever marketing people. The taste of this is fine, so I would certainly use it again. Both this and my usual mouthwash give me fresh breath. I do not drink coffee, so this Gevalia Iced Coffee Single Serve Product will be my husband’s treat. We redeemed this at Target with no trouble. My husband really liked it and will probably purchase more in the future. He says it was better than Starbucks single serve Iced Coffee. 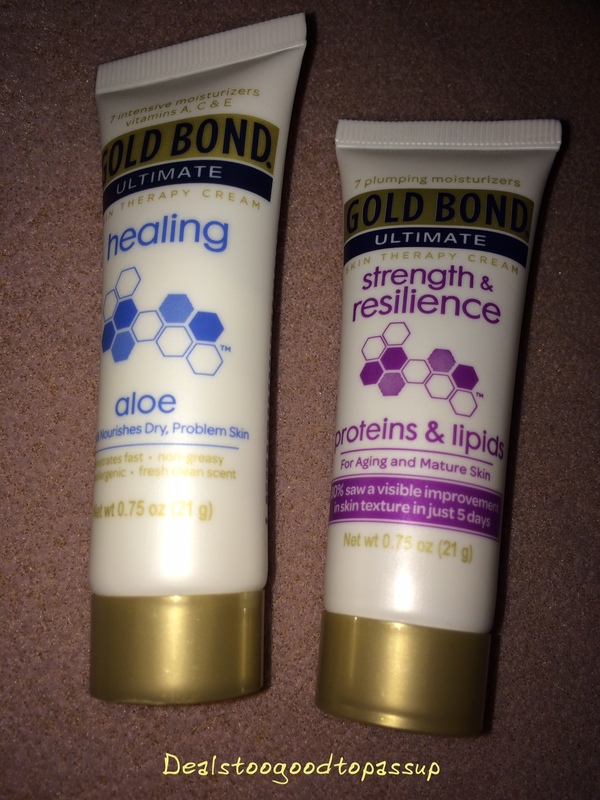 I’ve heard great things about the Gold Bond Brand over the years, but I had never tried it. Moisturizers are one of my favorite samples, because my skin is so dry. I love trying new ones. The strength & resilience is slightly less greasy than the healing, but the blue one is more moisturizing. Either of these would be great purchases for the price charged, so I will add these to my product line up. I put this into a water bottle as instructed, but I did not care for the taste. There is no way I would purchase this. It’s too bad, because I can always use added energy and mental sharpness. I did not drink enough to see if either improved. My husband may want to try the second one. 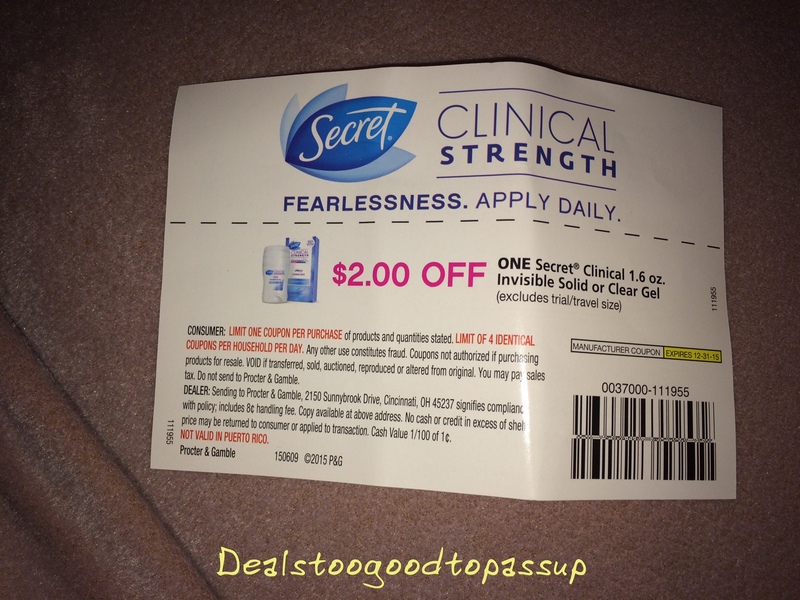 Secret Clinical Strength Deodorant is the only one I’ve purchased in a long time. Once I switched to Clinical Strength, I found nothing else worked as well. It keeps my more dry than others. I live in Vegas, so I will never be completely dry in the summer. When I do sweat with this, I never smell. The same cannot be said for others. This is really invisible, too. There are no white streaks, which I appreciate. Getting a travel sized version of something I already know and love is awesome. 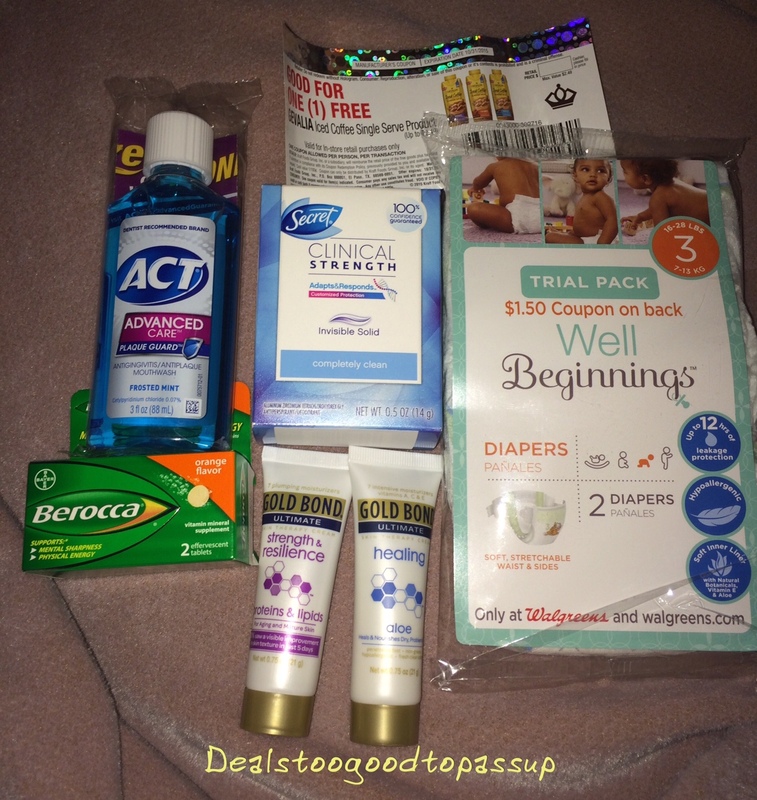 I have no clue why diapers went into my sample offers. My youngest has been out of diapers a long time, and even if he still wore them (he’s 4), there is no way he’d be in size three. 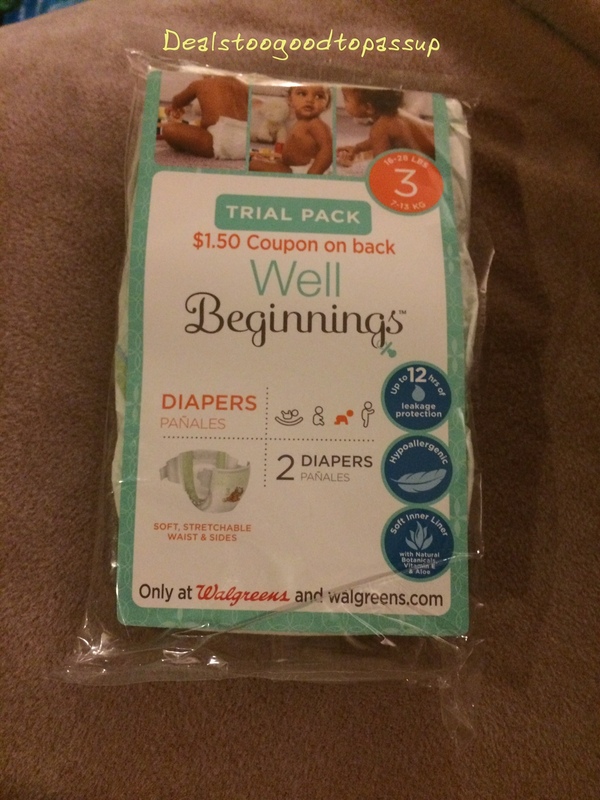 This is Walgreens branded Well Beginnings sample is a gift for my brother. His daughter is five months old, so I am sure he will like to sample these. The surveys take 1-2 minutes to complete. Here is the complete survey on one item. 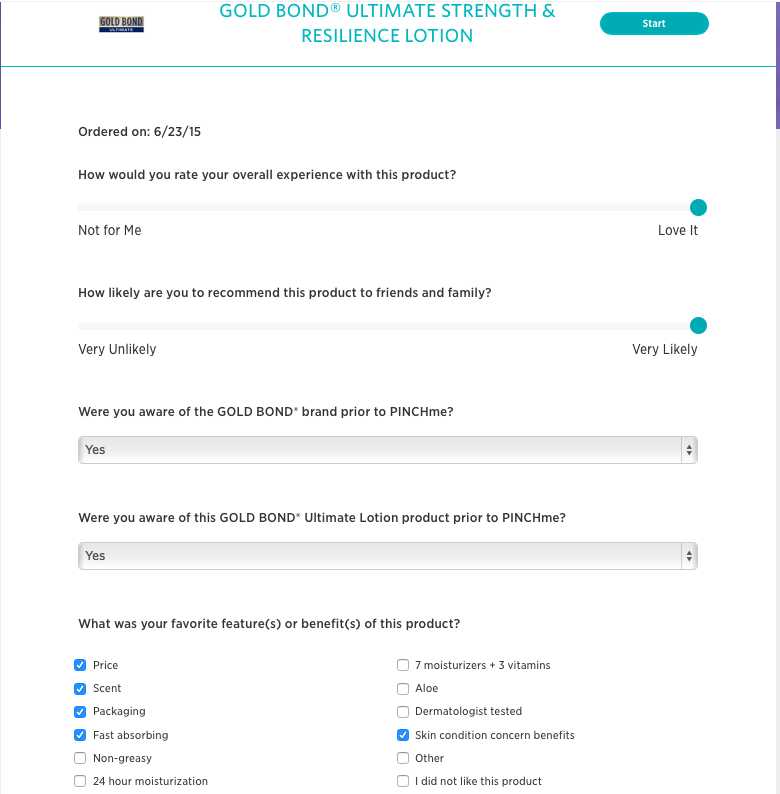 Once you’ve completed the survey, you’re done and ready to order samples on the next release. You can also review the products on the brand’s website, but that is not necessary. If you really love or hate something, it is probably a good thing to do. It takes very little time all together. 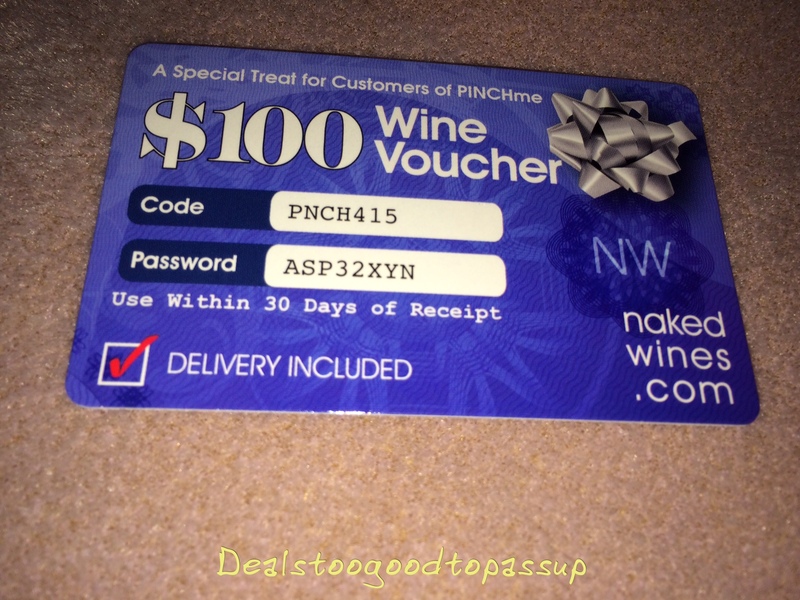 Learn more about PINCHme or any of the other free sampling programs I trust. 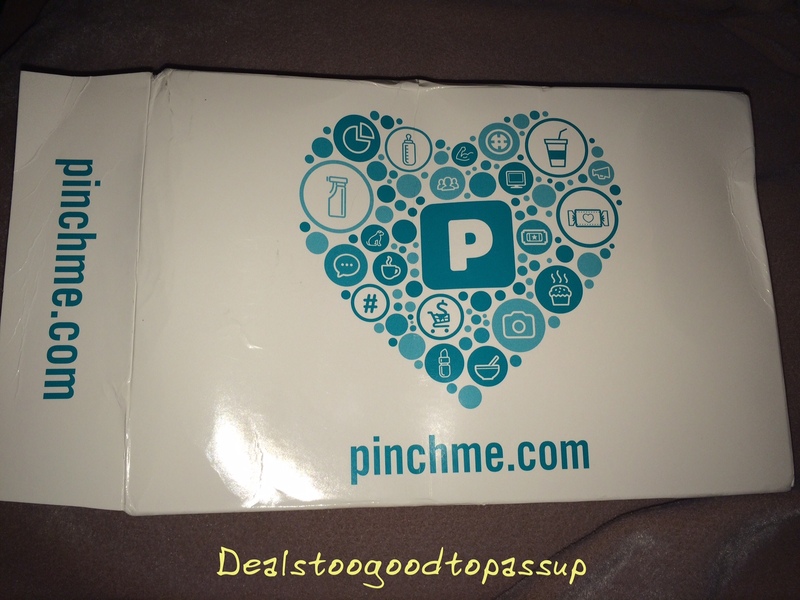 See all PINCHme articles. View my main page for the guide map to the site and deeper deal exploration. Thank you for sharing PINCHme. I had never heard of this and enjoy sampling products to review. I already signed up and am hoping for a variety of samples to choose from next Tuesday! Good luck getting some great items. I will be there as close to 9am as possible on Tuesday as well. Did you get any samples today? I slept past nine and there were none in my profile by the time I looked. We got home from our trip late last night, which explains why my boys let me sleep past nine.